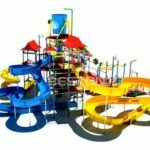 Theme park equipment for sale in Australia, Beston provide for theme parks, funfairs and amusement parks, can be divided into different types which including kids theme park rides, thrill theme park rides, water theme park rides, small and large theme park rides and etc. If you want to buy new rides for your theme park, but you can decide which ride to buy. Just contact us – Beston Amusement. We will give you a detailed plan on all kinds of new theme park rides in Australia. We manufacturing and designing new theme park rides with high quality, novel appearances, and reasonable prices. We had exported many sets of rides to Australia. We are her waiting for you! We manufacturing all kinds of theme park rides for many years. We have large and small theme park rides, water and mechanical rides. Here is a list about tops 10 popular theme park rides from our factory in Australia. Portable rides, usually mains trailer mounted rides in Beston Company. We have 5 popular portable rides, portable pirate ship rides with 6-10 seats, portable swing rides, portable tea cup rides, portable carousel rides and portable samba balloon rides. All of these rides can be installed on a small trailer which makes the rides movable. The most popular rides for Australia can be portable amusement rides. Human gyroscope rides, newly designed rides in the amusement rides industry recently. They are smaller in size and really attractive in theme park. This type of theme park human gyroscope rides have 6 types for you to choose, 2, 4 and 6 seats human gyroscopes and they can also be made with back to back and face to face models. You can buy one of them according to your need. Theme park pirate ship rides can be divided into two models according to its usage. One type can be used for theme parks, funfairs, fairground and etc. The other one type – portable pirate ship rides can be used for travelling funfair. The difference between fixed pirate ship rides and portable pirate ship rides is that, fixed model should be installed in one place, they can’t be move easily. But portable model can be move easily, because they are placed on a trailer. Usually portable type’s pirate ship rides are smaller than the fixed types. You can choose these according to your needs for the theme parks. Carousel rides, one of the most popular rides in the theme park. Each park will purchase one set when planning their new park. We, Beston produce carousel rides with different parameters and 3, 6 8, 9 to 48 seats carousel rides. From mini, small to large, all kinds of carousel rides can be chosen by you. Bumper car, loved by kids in the theme parks and funfairs. Here we produce electric and battery bumper cars, inflatable bumper cars, water bumper cars, one seat bumper cars, double seat bumper cars, kids and adults bumper cars. So many bumper car rides you can get from Beston Factory for your Australia Park. Now contact us about price. Roller coaster rides usually appears in the large theme parks. They covers a lot. Only large thrill roller coaster create different feelings for people in Australia. Except for large roller coaster rides, we also manufacturing smaller roller coaster rides which is suitable for kids. Beston theme park ferris wheel rides can be ranged from 5 meters to 120 meter and even higher. But you can customized higher ferris wheel rides from us. Welcome to consult us about the ferris wheel rides prices. Miami rides, normal type, but really great for theme parks. Beston produce theme park type Miami rides with 8, 10, 12 and 14 seats. They are safe to kids. Classic rides, portable tea cup rides can be frequently seen in the traveling theme parks. You can customized these tea cup rides with 6 cups and 9 cups. We can also add more tea cups for you according to the size of your place. We design and manufacturing so many types of kids theme park rides which is popular in Australia. Such as robot rides, self –control plane rides, rotary bee rides and Apache rides. 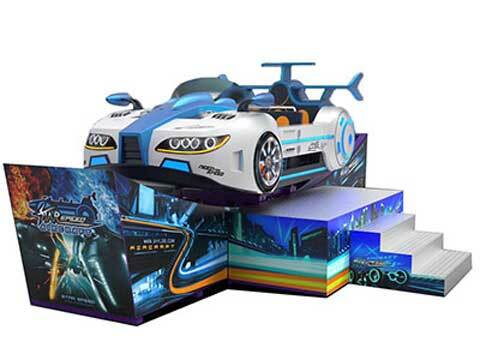 We can customized new rides for your theme park. Welcome to contact us Now! When we decide to buy new theme park rides, except for the brand and power of the company. Price maybe the most factor you concern. Here in Beston, cost of these theme park rides will not spend you too much. Because we are large Theme Park rides manufacturers and supplier. We have fixed raw materials supplier. We import these materials with lower price. Cost of theme park rides are different if the size if different. If you need to know details, send us your inquiry and welcome to our factory. You will get best price theme park rides from Beston for your business in Australia. We have factory and large workshop for manufacturing these theme park rides. Our theme park rides need low maintence, because we use high quality raw materials. Size and color of our theme park rides can be customized according to your requirement. We had boasts many years of experience in designing, manufacturing, testing, installing and maintain theme park equipment for theme parks in Australia. When you decide to buy new theme park rides for your theme park. Contact Beston! Beston is a very dynamic Company and a serious player in the theme park rides manufacturing industry, we exporting theme park rides all over the world and using only certified quality materials being aware that quality means to assure safety. But our theme park rides are required a low maintenance during the operation. Theme park rides from Beston Company has been exported to Australia’s different city, such as Sydney, Melbourne, Brisbane, Perth and etc. We are always here producing new and high quality theme park equipment.